Bacon, Bacon, Sausage. This is not a new version of duck, duck, goose. Nope, this is our newest Bacon of the Month club variety. 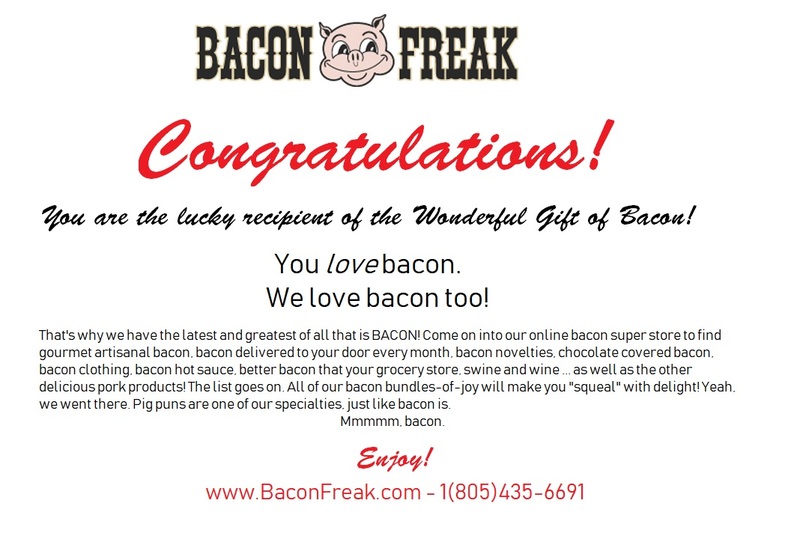 This club doesn't disappoint with a delivery each month that includes two packs of bacon, but it also includes a bonus pack of a delicious pork product, since man nor beast can live on bacon alone. Or maybe you can, but with all the flavor varieties available, we recommend branching out. Smoked ham steaks, breakfast sausage, bratwurst and other savory sausages are some of the bonus pork you will receive each month with this Bacon Plus Bonus of the month club. The same awesome bacon used in our bacon of the month clubs is only part of this monthly delivery. You're sure to enjoy the same top quality as our beloved bacons in our other pork offerings. We've moved beyond breakfast and burgers with this club, all the way to the dinner table with some awesome new flavors. 1 package of pork product that is not bacon, such as sausage, chorizo, ham steak, etc. **Note:Items purchased from the store can be added to the monthly subscription delivery to save you shipping charges. Just add your club order number in the "Order Comment" section at checkout and we will refund the shipping charges for the additional item. Call customer service with further questions. Bacon of the Month Club - Gluten Free!